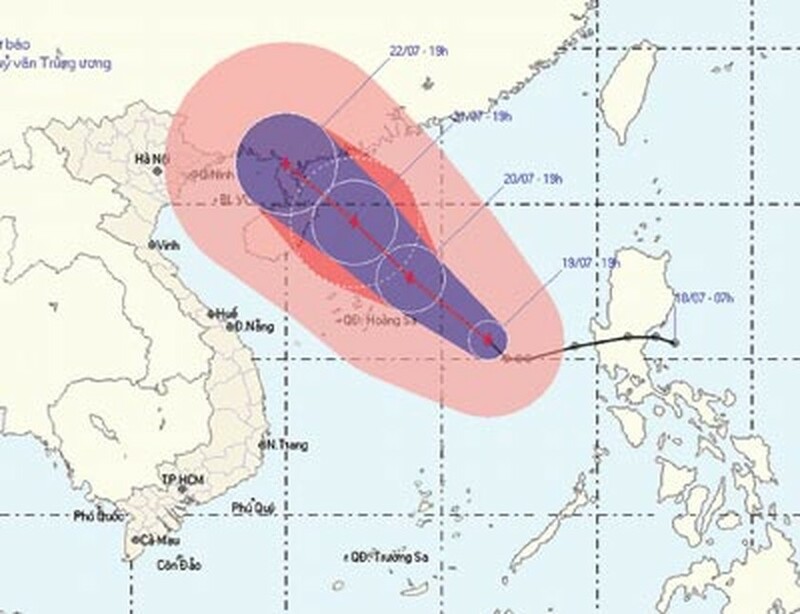 A tropical depression in the East Sea has developed into storm and is on course to hit the Vietnamese coastline, the national weather bureau said late Monday. The second typhoon of the year is currently crossing the East Sea and moving east across the Hoang Sa (Paracel) Archipelago. The storm appeared just two days after the first typhoon, Conson, hit Vietnam’s northern coast on Saturday night, leaving one dead and about a dozen missing. The eye of the second typhoon was about 490 km southeast of the Hoang Sa Archipelago at 7pm Monday. It is moving northwest at 10-15 kilometers per hour and will continue to strengthen at it crosses the East Sea. The storm, with wind gusts of 89-117kmph, was forecast to hit the archipelago by 7pm Tuesday. The national committee for flood and storm preparedness has warned of the storm in an urgent message to its local branches, ministries and agencies in the central region. 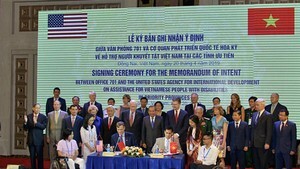 Agriculture minister Cao Duc Phat, head of the national committee, said the branches and agencies must promptly inform owners and crew of all vessels and fishing boats at sea to seek safety or go back to the shore.